I’m not going to lie - when an email with the subject line “Contagious” landed in my inbox last month, I assumed the sender had come down with a rather nasty bout of flu. This was not the case. It was in fact, an invite for two of us to attend the latest Contagious Live event, a monthly gathering of creatives in the heart of London. These evenings of ‘rapid-fire inspiration’ often sell out, partly (only partly) owing to the fact they also provide massive amounts of pizza and beer. The event was held in a suitably hip side street in Westminster on 28 February, where my colleague Lewis and I were greeted by 50 pizza boxes neatly laid out in reception. These were demolished in a very short space of time by a host of very hungry creative people from around the country - in horn-rimmed glasses, denim shirts and baseball caps. Firstly, it was short and sweet, which was brilliant. Everything was packed into an hour and a half - so no-one had the chance to get bored and start shifting around in their seats. And secondly, there was no single-track way of thinking, which can often be the case at these events. Instead there were two quite distinct views expressed, each equally thought-provoking. As we all sat nursing our glasses of wine and bottles of beer, our hosts gave us a round-up of the last few years in advertising. Recent ad campaigns have moved further into the realms of storytelling and brand affinity. 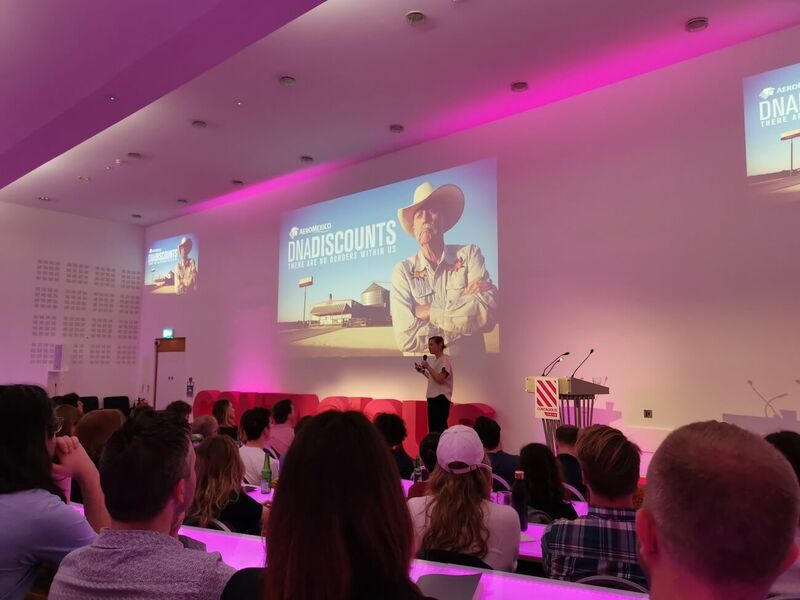 We were shown some impressive examples of ads which aim to evoke feelings first and foremost, in order to boost people’s connection to the brand - but without explicit reference to the product or service itself. Take Ruavieja, the obscure Spanish liqueur brand. Their recent advert has made everyone who’s watched it cry, but although it lasts four minutes, the after-dinner aperitif itself barely features. Or there’s AeroMexico, who tackled the biases of many Americans against visiting Mexico in a brilliantly poignant way. They offered discounts to those living in the heart of Texas, based on what percentage of their DNA is Mexican. Oh yeah, and there was barely a mention of an actual AeroMexico plane. The result? The customer’s connection with the brand becomes the focal point of the advert. The product/service is still featured prominently, but the brand and its values hold centre stage. All hail Dave Trott. His answers in the Q+A session took the rose-tinted glasses still clutched by some of us young creatives, and hurled them out the window, along with our pretensions and our chronic need to be liked at every stage of our careers. This was an excruciatingly honest session. Trott was quietly reproachful when he commented on an industry more focused on winning awards, instead of those awards being the by-product of good work. Some spectators were positively squirming. He remarked about creativity becoming a lost art – that many creatives, fresh out of university, work to get a pat on the back for a job well done. They don’t unleash their ideas. They don’t risk causing friction in order to deliver work that could be brilliantly thought-provoking. Cue more squirming from the audience, the majority of whom appeared to be university graduates in their mid to late twenties. For Trott, creativity is a muscle to be exercised, whether it’s the concept itself or how you put it into practice and get it out there in the world. He pointed out that convincing a client that your idea is worth taking a punt on is half the battle. This wasn’t a proclamation about how precious creatives were. He was pointing out that sometimes creativity is lost in the mire that is the fast-paced, time-is-money modern world. But creative tension is what drives good work - you need it to help your message hit home, to help your ideas resonate with your audience. And here’s where he got a teensy bit controversial – he countered the previous view that you don’t need to explicitly reference the product to create impact when you’re advertising it. On the contrary, he said this explicitness is needed – and that in an arena that is constantly being filled with self-aware, clever concepts, we’ve lost the ability to talk plainly. 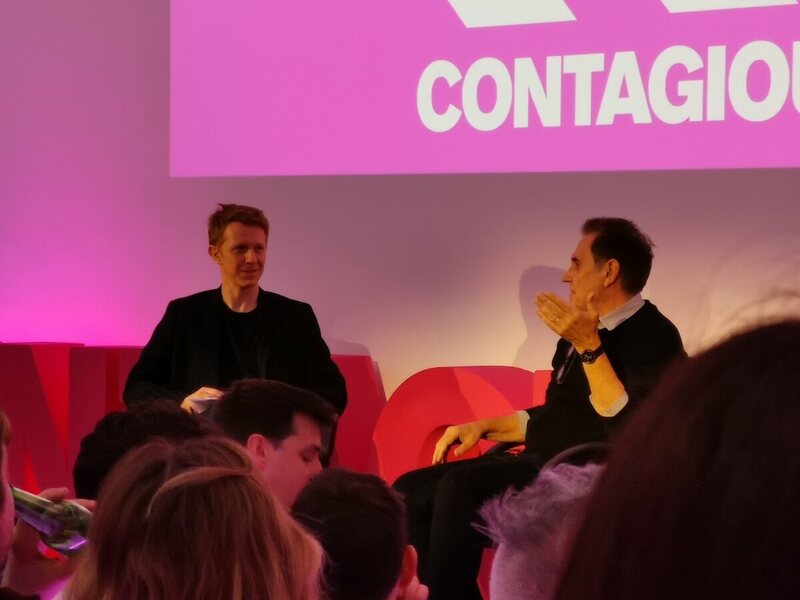 Read Dave Trott’s interview with Contagious. Campaign Battle: Marketeers, are you ready? As a fan of Pitch Perfect I love a riff-off. And as a highly competitive person I knew I’d enjoy watching the campaign pitch battle, which involved three Contagious writers pitching their favourite campaign of the month, and the audience voting for their favourite. First up, a digital clothing collection by Scandinavian fashion retailer Carlings - where the Instagram world has collided with fashion and AI influencers to address the very real danger that disposable fashion is to our world. Why sell real clothes, which will be worn once and then returned, sold on, or binned (thank you consumer culture). Instead, why not sell digital clothes, superimpose them onto a photo of a customer and let them share the image on social media? The brand claims it lets their customers “be creative without leaving a negative footprint on the world”. The result: Instagrammers hash-tagging your brand left, right and centre, “wearing” their fake clothes at €20 - €30 a go – with a proportion of the proceeds going to WaterAid. And there will be a new collection of digital clothes ready to drop later this year. You can bet those will download fast. Next, the Skittles Super Bowl ad-that-wasn’t-an-ad. In a weird twist on what actually constitutes being a commercial, the Skittles Super Bowl commercial a) didn’t appear at the Super Bowl, just at the same time and b) was in fact, a one-off musical production, so didn’t appear on TV either. Whilst admirable, this did smack more of one great big practical joke, and it’s debatable whether it makes Skittles seem cool and different as a brand. Although maybe the joke is on all the other brands who clamoured to get a slice of the Super Bowl, as they spend Broadway-production levels of money on their ads, without any guarantee of an uplift in sales. And finally, the Greyest Day of The Year by Hartwall, the Finnish alcohol brand. Sod Black Friday - this looked way more fun. Faced with grey days, only five hours of daylight in the depths of winter, and depressingly cold weather, an obscure day in November seems like an unlikely day for a national celebration. But that’s just what Hartwall did, after ascertaining that November 17th was officially, the greyest day of the year in Finland. Because of restrictive advertising laws, Hartwall was unable to explicitly advertise the fact they were flogging booze. Instead they celebrated everything else about the product – from its iconic grey colour, the same colour as cloudy skies, to the fact it’s the unofficial national drink of Finland. The Greyest Day of the Year campaign took on the ambitious challenge of turning Finland’s grey weather into the world’s largest outdoor advert. It certainly sold itself to most members of the audience at Contagious Live, who voted it the winner. The outcome of this campaign battle was either further proof that the audience were partial to a tipple, or more likely, evidence that Dave Trott’s observation had a gleam of truth. That making the product the star of the campaign does in fact pay off. Even if in Hartwell’s case, you couldn’t explicitly refer to it. Thank you Contagious, for a top-notch evening. We left London suffering from a major case of inspiration overload. And I have to admit, I’m fairly glad I caught this one. The next Contagious Live is Thursday 28th March. 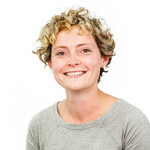 Sarah’s a copywriter at Signal. As well as strong coffee and chocolate, she lives for a well-crafted story, helping clients tell theirs in the most compelling way possible.